This week is Midterms. Yes, it is the middle of the semester already, can you believe it? 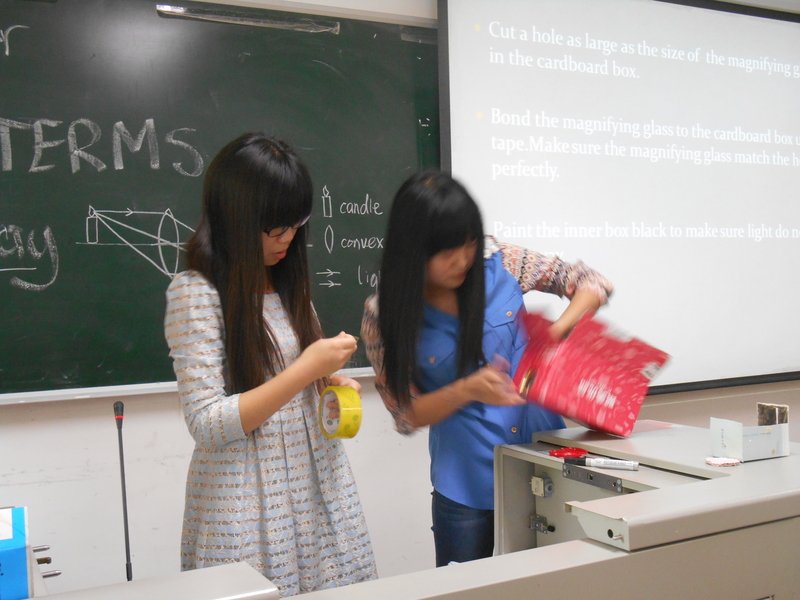 For my kids Midterm projects they were to present a 15 minute “How To” lesson and could teach the class how to do anything they chose. First they cut out a hole in the box for the magnifying glass to fit in, then taped it securely to the inside of the box. Next they painted the box black on the inside, and mounted a cell phone at a 45 degree angle facing the lens. From there they could project a video from their phone onto the wall. It was the coolest thing I’ve ever seen. Great Job girls! 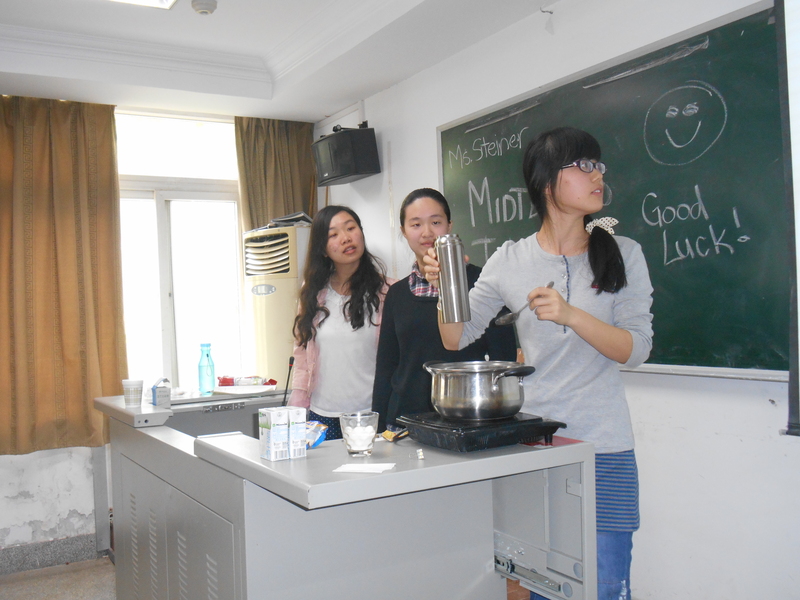 The next group made homemade NaiCha or Milk Tea. You bring water and sugar to a boil, stirring until dissolved. Add teabag and let steep for several minutes. Turn down the heat and slowly add the coffee mate and instant coffee powder. 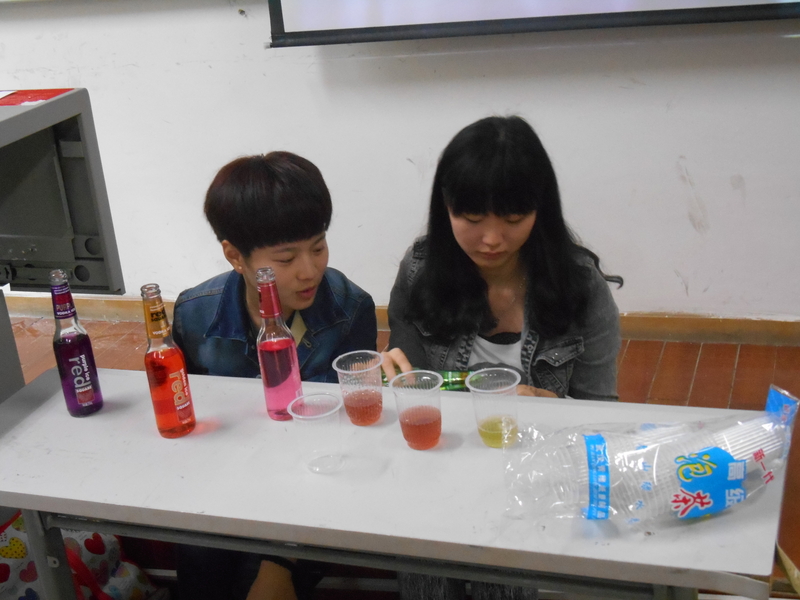 I brought in my hotplate and a kettle from home, and the girls served the drink up in little cups for everyone. It was delicious. 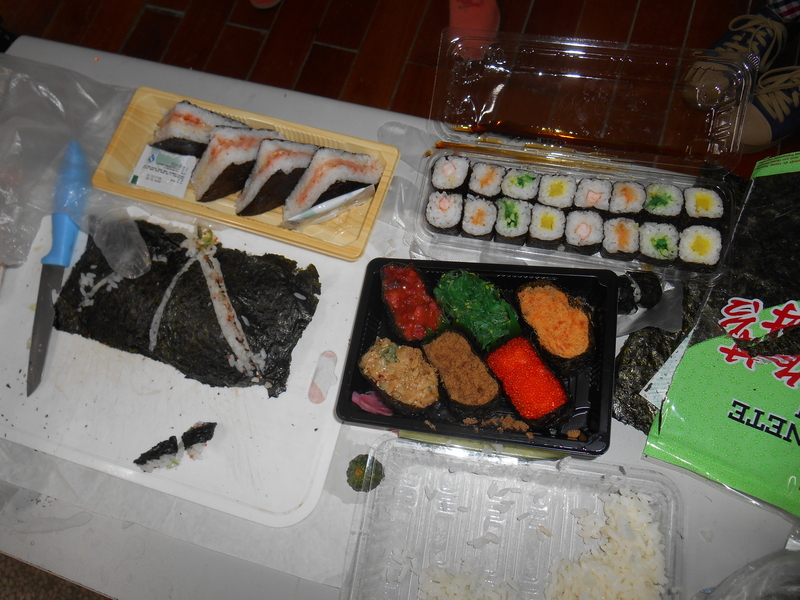 The last group made Sushi. 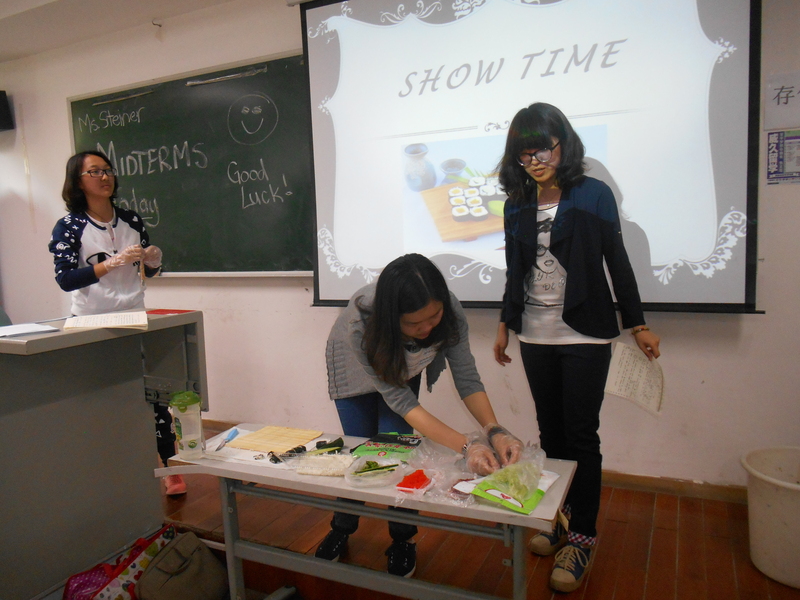 They brought in enough sushi pieces and fresh ingredients for everyone in the class to “have a try”. The girls told me afterwards that they had a great time with their first attempt at sushi. Next Post Easter Party Time!